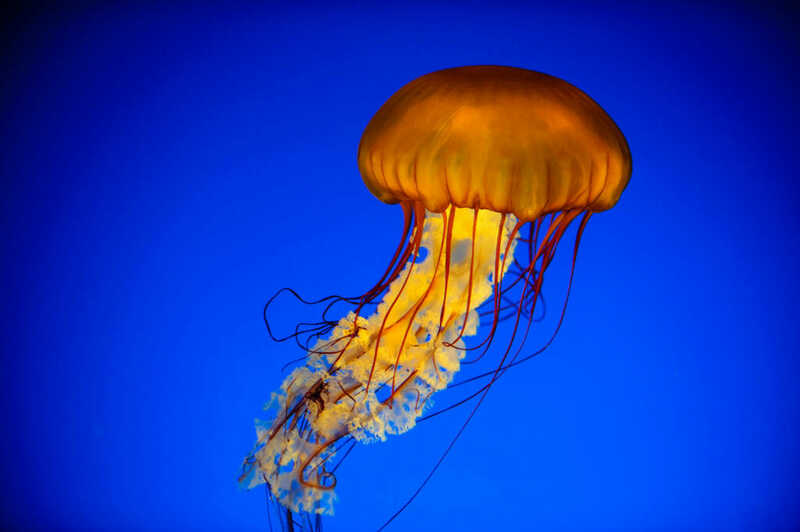 A Pacific sea nettle at the Vancouver Aquarium. Much better than my last picture of this orange jelly. Better, but also worse in the sense that I would have guessed that this was computer-rendered and not actually real. While I see what you mean, that aspect of the photo is something I really like. Still I could see why someone might not like that.